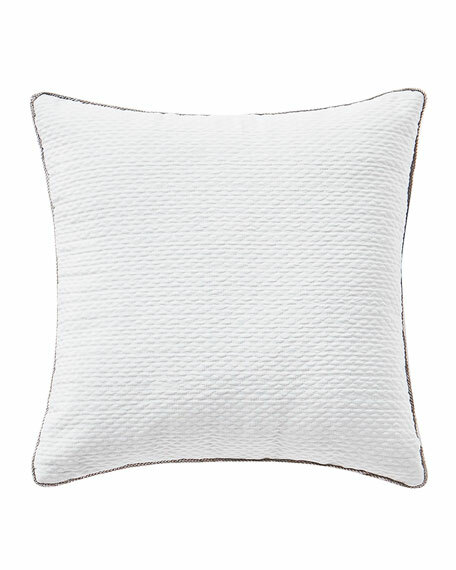 Waterford Farrah Square Decorative Pillow, 14"Sq. 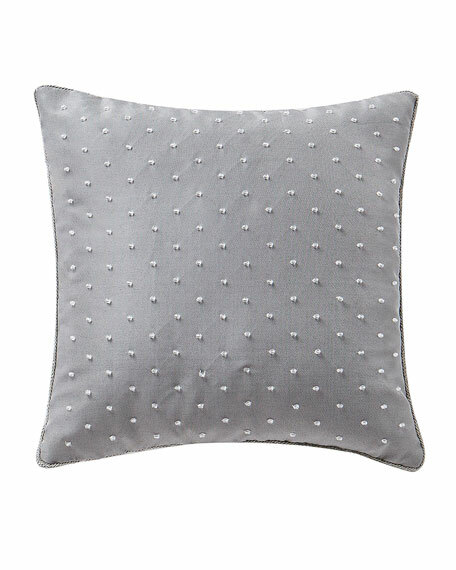 A little piece of jewelry for your bed, this pillow has delicate beading on a solid grey fabric and reverses to an ivory diamond pucker jacquard fabric. Decorative pillow with jewel embellishment.